Military Advanced Education and Victory Media have selected the Brown Mackie College system of schools for best practices in military and veteran education. Why Choose Brown Mackie College? Military Advanced Education and Victory Media have selected the Brown Mackie College system of schools for best practices in military and veteran education. Brown Mackie College system of schools were designated as a 2015 Military Friendly® School by Victory Media, publishers of G.I. Jobs®, Military Spouse, and Vetrepreneur® media channels, as being among the top 15 percent of colleges, universities and trade schools doing the most to embrace America's service members and veterans as students. The list was compiled through comprehensive research conducted with more than 10,000 schools nationwide via a data driven survey. The survey weighting, methodology, and resulting schools list is independently certified by the accounting firm Ernst & Young LLP. 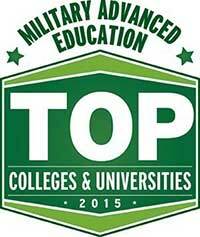 Brown Mackie College system of schools were honored by Military Advanced Education (MAE) as Top Schools in its 2015 MAE Guide to Colleges & Universities. The guide presents results of a questionnaire of the military-friendly policies enacted at nearly 600 institutions to arm students with information about schools that go out of their way to give back to our men and women in uniform. This year, institutions were evaluated on their military culture, financial aid for veterans, flexibility, on-campus support and online support services. They appear on the 2015 MAE Guide to Colleges & Universities: http://www.kmimediagroup.com. Find out why military students choose Brown Mackie College for their education. As a military-inclusive college, we are committed to providing support for your education and career goals. Our degree programs are designed to prepare you for a variety of career-focused areas of study in nursing, healthcare and wellness, business and technology, legal studies, veterinary technology, early childhood education and construction trades operating at several locations. You can earn a certificate or undergraduate degree. At Brown Mackie College, we value skills you have learned in the military such as leadership, discipline and self-motivation. Interact face-to-face with instructors and other students at one of our locations throughout the United States. 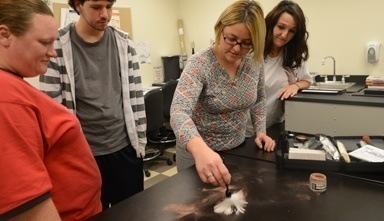 Military and veteran students bring invaluable real-life experience to Brown Mackie classrooms. Additionally, most military training courses have been evaluated for academic credit by the American Council on Education (ACE). At Brown Mackie College, we will evaluate your Joint Service Transcript or corresponding official service transcript to determine if we can award college level credit for your prior learning. Brown Mackie College has more than 25 locations nationwide – from Cincinnati, Ohio to across the country in Boise, Idaho. At Brown Mackie College, you are part of a team. Our faculty and staff are committed to supporting you achieve your educational goals. Link to Find out what's going on at a location near you. ONE COURSE A MONTH® schedules that allow you to concentrate on one subject for one month, complete the course in 30 days, then move on to the next course. Small class sizes designed so you can receive individualized attention. An energetic learning community where faculty and staff encourage you to do your best. Link To view some of our students' success stories.